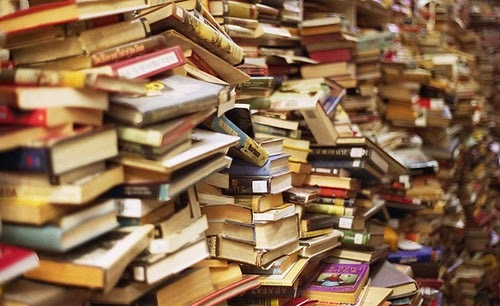 Ever feel overwhelmed by the sheer amount of stuff out there that you want to read but haven't gotten to yet? A perfectly dorky question, isn't it? But as a voracious reader I'm occasionally plagued by an anxiety that I can't consume the things I want to read quite quickly enough. This then raises the question: why does one read? For pleasure, entertainment, edification, stimulation? Is reading really the best (or even most efficient) way to achieve those desired results? It's usually around this time of year with the approach of spring when my dormant passion for baseball starts to reawaken and I begin consuming as much baseball literature as I possibly can. Some of it is for information---to catch up on news, rosters, promising players, breakout teams, etc---but what I derive from the obsessive consumption of baseball writing is usually pleasure. Good writing is pleasurable to read no matter what the subject but when it's on baseball, it's especially delicious. This is why Roger Angell remains one of my all-time favorite writers. The rearrival of baseball and its collection of great writing only interrupts an already ever-growing stack of reading material, though. As I write this, I've got 4 unread copies of New Scientist magazine resting on my table, their headlines calling out to me. I originally subscribed to the weekly magazine to keep my reading balanced (I tend to jump headlong into obsessions, if you haven't noticed) and keep up with the cutting edge of 21st century science. At first, I would read every page of each magazine but as other text would take up my weekly reading time, the magazines kept arriving and just piling up. It's gotten to the point now where I simply flip through and identify intriguing articles, read 'em, and discard the magazine for the next one. I'm doing largely the same with my subscription to the James Joyce Quarterly, eating up the most enticing portions and discarding the rest. After all, these are now competing with the new Baseball Prospectus annual, a phonebook-sized study of every team and player in the major leagues jam-packed with quality writing and info, as well as the newest Hardball Times Baseball Annual and I haven't even begun to dig into a multitude of other books I've been acquiring because I'm too busy trying to finish up writing a long and thorough walkthrough/review of John Bishop's enlightening but dense analysis of Finnegans Wake (you can read the first three parts at my Wake blog, the fourth and final part is forthcoming). With all of this going on, I can't help but think of Marshall McLuhan's ideas in The Gutenberg Galaxy, how typography changes sensory ratios and captures (traps?) one in a world of linearity and rote order. Having to spend 8 hours a day in an office away from all the stuff I want (need) to read certainly doesn't help my desire to progress through myriad published texts. Then again, my daily foray into the world of numbers as an accountant is often interrupted by perusing the internet for good stuff to read (this time of year, almost entirely baseball-related and oh my gosh there is plenty*) and once again entering the world of text, of reading. And once in a while, I skim through my growing Amazon wishlist of all the books I look forward to reading; Pynchon, Tom Robbins, Vonnegut, Timothy Leary's biographies, Stanislav Grof's books, baseball books (of course), Finnegans Wake studies, and everything in between. Then I get anxious and impatient that the book-eating factory is not churning fast enough. Occasionally I escape all of this to type sentences of my own. And I can't help but wonder what it's all for. So much of my waking hours spent scanning miles and miles of text, absorbing information. How much of it sticks? How much of it provides a fleeting mental high? How much of it truly edifies me? Perhaps most importantly (and maybe this underlies the whole obsession), how much of it makes me a better writer? Because, beyond entertainment and educational value, that's really what this comes down to. I'm fastidious about what I choose to read and how closely I read it because I want to be able to write like these people do. And I want my writing to contain interesting and voluminous information. I want people to be bookmarking my writing and spending their mental energies on it, deriving some pleasure or inspiration or knowledge from it. And if I can just put aside all of the miles and miles of enticing text once in a while, I can work on creating some more of my own. *The world of great internet baseball writing has been expanding for years now without sacrificing much in quality. It's hard to keep up with it all but I usually try to read all of these: Baseball Prospectus, FanGraphs, Hardball Talk, Jonah Keri at Grantland, Baseball Primer, Rob Neyer (recently relocated to FoxSports), the many solid writers at SB Nation, the Joe Sheehan Newsletter (subscription only) and... yeah there's a lot of baseball writing on the internet. But these voices really stand out for me. Normally I don't weigh in on baseball, but an odd coincidence is that your friend Charlie's father, who is my friend Tom, gave me a lift yesterday and mentioned that he had been reading an article by Roger Angell in a recent New Yorker to his own father that day. And my own father was a big fan of Angell's writing. That is a lot of fathers and sons, so I hope you can parse this. As for how much reading and why, never mind what, well, it's a question I've pondered for a long time, but I don't have any answers. We are lucky to have it, though, wherever it takes us. Thanks for commenting, Seana. I'll have to go find that new Angell piece and squeeze it into my day's readings.